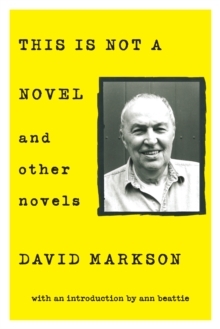 David Markson was a writer like no other. In his novels, which have been called ï¿½ hypnotic," ï¿½ stunning," and ï¿½ exhilarating" and earned him praise from the likes of Kurt Vonnegut and David Foster Wallace, Ann Beattie and Zadie Smith. Markson created his own personal genre. 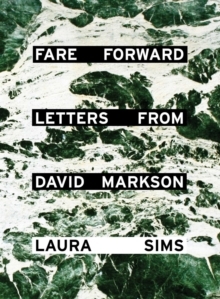 With crackling wit distilled into incantatory streams of thought on art, life, and death, Markson's work has delighted and astonished readers for decades.Now for the first time, three of Markson's masterpieces are compiled into one page-turning volume: This Is Not a Novel, Vanishing Point, and The Last Novel. 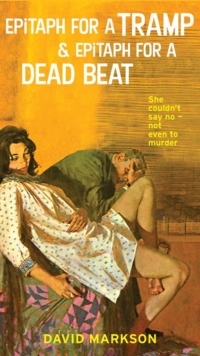 In This Is Not a Novel, readers meet an author, called only ï¿½ Writer," who is weary unto death of making up stories, and yet is determined to seduce the reader into turning pages and getting somewhere. Vanishing Point introduces us to ï¿½ Author," who sets out to transform shoeboxes crammed with note cards into a novel. 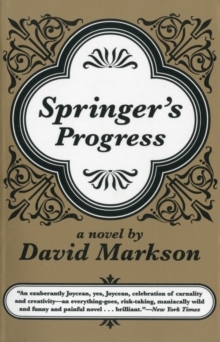 In The Last Novel, we find an elderly author (referred to only as ï¿½ Novelist") who announces that, since this will be his final effort, he possesses ï¿½ carte blanche to do anything he damn well pleases. 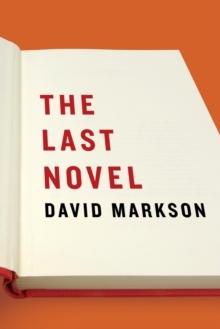 "United by their focus on the trials, calamities, absurdities and even tragedies of the creative life, these novels demonstrate David Markson's extraordinary intellectual richnessï¿½ leaving readers, time after time, with the most indisputably original of reading experiences.